Plan your luxury vacation at one of our handpicked collection exclusive resorts, villas, cruises, tours, luxury vacation packages, destination weddings and honeymoons with Travel is SWELL. Find the best travel deals online or call 1-888-963-8986 for immediate assistance. Travel is SWELL offers biking, walking, hiking and other multi-sport adventures for individuals, groups and families. In addition, you can enjoy river rafting, sea kayaking, cooking classes, sailing, snorkeling or even a safari! Travel is SWELL offers an extensive selection of top-brand sailings aboard the world’s leading luxury cruise lines. Travel is SWELL’s key objective is to provide environmentally-friendly luxury cruise experiences which includes imaginative itineraries, unique shore excursions and land tours, and the other innovative services in all corners of the world. Travel is SWELL offer the finest all-inclusive resorts in top destinations which includes the Bahamas, Costa Rica, the Caribbean, Mexico and Europe. 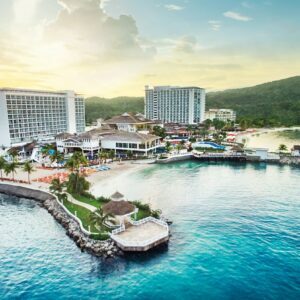 All-inclusive resorts offer great accommodations, activities, all meals and snacks, all beverages, land activities, entertainment, non-motorized watersports, and much more. Did you know that we maintain one of the largest collection of Adults-only Resorts in the World? Our collection includes Adults-only Resorts, Adult-oriented Resorts, Couples-only Resorts, Romantic Resorts, Spa and Wellness Resorts in Mexico and Latin America, Caribbean, Asia, Africa, Europe and the Middle East. Check out our list of resorts today! Travel is SWELL romantic escapes gives you and your loved one the opportunity to leave it all behind. No matter what the occasion, from honeymoons and anniversaries to intimate weekend getaways and destination weddings, Travel is SWELL help you find the right romantic escape to suit your specific needs, taste or budget. With our spa vacations, you can learn all about the different types of spas which includes destination spas, resort spas, wellness spas, and day spas; general information about the overall spa vacation experience, spa terminology and spa treatments. Travel is SWELL also specializes in flexible spa vacation options for the health and fitness-conscious traveler, who relies on us to save time and provide exceptional value in addition to offering ways to improve ones’ health and wellness. Travel is SWELL offers both domestic and international beach destinations where you can soak up the sun and play in the surf. Escape to the tropics of the Caribbean and Mexico or discover the beautiful beaches found up and down the Florida and California coastlines. Don’t forget the exotic beaches of Asia, Africa and the Maldives. We have it all for you. Bring everyone along when you book a family vacation with Travel is SWELL. There’s something special for everyone, like dining that will appeal to the whole family’s taste buds and entertainment the entire family can enjoy. Family-friendly attractions like theme parks as well as excursions like swimming with dolphins can complete the family vacation experience. It’s your special family adventure with Travel is SWELL. Search for the best deals on cruises, tours and vacation packages to locations all over the globe with CMTravelonline – our sister site. Looking for a honeymoon spot or a romantic getaway? We have deals you’ll love at resorts with intimate spas and cozy restaurants. Want to kick back at an all-inclusive resort? We have savings and exclusive perks at some of the top destinations worldwide. There’s no limit to the luxury you’ll discover when you travel with Travel is SWELL. Whether glamorous or rustic, relaxed or high-energy, the possibilities are endless but the vacations are singular. Our Travel Designers will answer any questions you may have during the planning process, and will be available to you at any time during your vacation should you need help. Ask, and we’ll make it happen. Based on their extensive knowledge and years of travel planning experience, our Travel Designers have hand-picked what we believe to be the best selection of hotels, restaurants and experiences in luxury destinations throughout the globe. But our Travel Designers do more than provide recommendations. Whether it’s a simple getaway or a once-in-a-lifetime journey, they will work with you to craft an itinerary filled with special touches, life-changing experiences and unforgettable memories. The convenience of online travel planning combined with the expertise of our dedicated team of Travel Designers. Flexible payment plans let you reserve your luxury vacation package for one low deposit and pay the rest at your convenience. The Best Vacation Protection that protects your travel investment, provides you with the Best Price Guarantee, and allows you to change or cancel your reservation for any reason with no penalty. Contact our Travel Designer at toll-free 1-888-963-8986 or 1-559-207-0505.